R-Evolution technology gives brands new tools to boost fan engagement, increase ROI, and reduce costs, directly through their promotional merchandise. By leveraging our sophisticated web platform, brands can create 1-to-1 connections with each person and each piece of merchandise, giving unprecedented levels of insights and reach. In this post I'll describe how it works in an easy-to-understand manner, and show why R-Evolution technology is a better choice than other mobile engagement platforms. If you currently don't have a mobile platform or mobile strategy, now is a great time to start. Read on to learn more about R-Evolution. Brands start by embedding R-Evolution technology into their merchandise, or by buying custom-branded merchandise from us with our technology already onboard (we offer complete turn-key solutions for high-quality promotional merchandise). The technology that goes onto the merchandise is called a PRC, or personal redemption code. With the PRC technology embedded, we now call this merchandise "Interactive Merchandise". 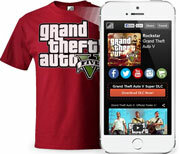 Brands sell interactive merchandise or give it away at events, same as they would with regular merchandise. Except now users can scan the merchandise using a free scanner app on their smart device (same as they would a QR code), which takes them to a micro-site webpage for that brand. This micro-site is connected to the brand's social feeds with pictures, information, videos, and more, and is all controlled by the brand using a simple web-based interface. So what sets R-Evolution apart from other companies that put QR codes onto merchandise? It's this: Each and every R-Evolution PRC has a unique code. No two pieces of interactive merchandise are the same. This allows brands to gain insights both on a per-user and per-item basis. Furthermore, brands can provide fully-controlled incentives (downloads, coupons, music, etc) directly through the merchandise. For example: A brand can choose to offer a single coupon redemption per item of merchandise, or an unlimited download of a song. Users redeem these incentives directly from the branded micro-site to their device. See a live demo of the GTA V demo micro-site. Go ahead and redeem it (the redemption is just a demo image in this case, but it could be any digital asset). A music artist can distribute their album through their merchandise, without needing to purchase CDs. This boosts their merchandise sales as well as reduces their CD costs. An entertainment company can offer coupons, prizes, or giveaways at events directly through promotional merchandise, without having to print coupons. Beyond being connected to merchandise, our micro-sites can be used as stand-alone websites, for brands that need a quick and easy mobile-optimized landing page to disseminate. Connecting social feeds, galleries, and videos is quick and easy, meaning micro-sites rarely need to be updated. The PRC is a graphical object printed directly onto merchandise. It can go anywhere on the merchandise, take any form, and be custom-branded with a logo. The part of the PRC that a user's smart device interacts with is the same as a QR code, so smartphone and tablet users already know how to scan it. Due to their ubiquity, QR codes are currently the technology of choice for connecting the physical world to mobile smart devices. Many smart phones and tablets come with scanner apps built in, making this a painless no-installation-required process in most cases. What if QR codes become obsolete? Another strength of the PRC is that it does not rely intrinsically on QR codes, or any specific scan technology at all. R-Evolution can quickly adapt to different technologies that emerge, including non-graphical technologies like NFC should the need arise. Insights and analytics are provided through the same web-based interface that is used to manage micro-sites. Using analytics, brands can easily see the effectiveness of their marketing campaigns and event giveaways. Analytics on user scan, click, and redemption activity is all provided through a simple interface. View a demo analytics page. The pre-filled information is based on common industry averages. To learn more about R-Evolution, visit our features and about pages. To see various demos and use cases, visit our demos page. If you'd like to talk to someone in person or if you have any questions, feel free to contact us here.